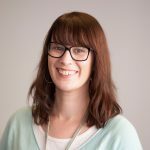 Leanne has joined the AMSI Choose Maths team after some time with Catholic Education Melbourne as a School Advisor – Mathematics, and is very excited to extend her work with schools around Australia. She has a Bachelor of Science with majors in Biochemistry and Genetics and has developed a real interest in bioinformatics, which combines her love of Mathematics and Biology beautifully. Over her 25 year teaching career, Leanne has worked at Independent, Government and Catholic schools, teaching mostly secondary Maths, Science and Biology, but also working with primary teachers to bring these subjects to life in the early years. A real career highlight for Leanne was her time with Museum Victoria doing everything from educational consulting on the Marine Exhibition through presenting Bugs Alive and Dinosaur education programs to running the planetarium and teaching astrophysics. Leanne’s passion for girls’ education is embodied in her twin daughters who are both studying mathematics at a tertiary level. She is looking forward to having an Engineer to solve her problems and a Physiotherapist to iron out her knots.